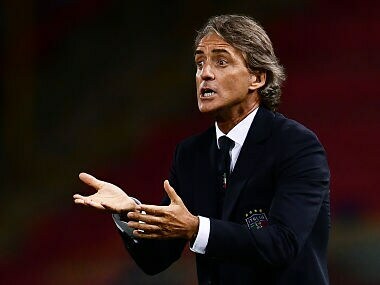 Roberto Mancini, 58, was appointed after the four-time winners Italy's shock failure to qualify for the 2018 FIFA World Cup. 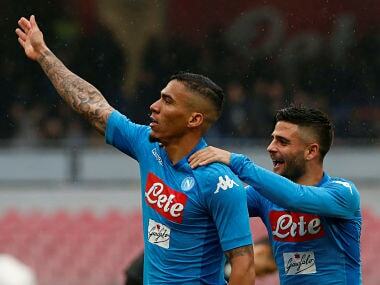 Mertens edged Napoli ahead on 37 minutes with a penalty awarded for a foul on Jose Callejon and scored his second with a spectacular curling effort. 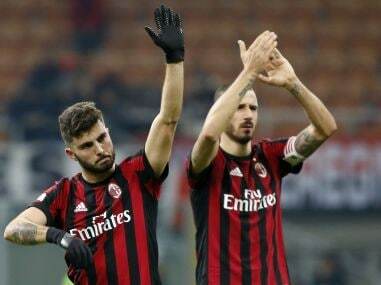 The victory was a welcome relief for new Milan coach Gennaro Gattuso who had likened the clash to "a World Cup final". Goals from Suso, Alessio Romagnoli and Patrick Cutrone helped AC Milan set up a 27 December date with Serie A leaders Inter. Giacomo Bonaventura struck twice as AC Milan bounced back from last week's embarrassing draw at Benevento by beating Bologna 2-1 on Sunday to give Gennaro Gattuso his first win as a coach. Ivan Perisic struck a dramatic leveller to help Inter Milan in an enthralling 2-2 derby draw with AC Milan that saw Suso hit a brace for the hosts.